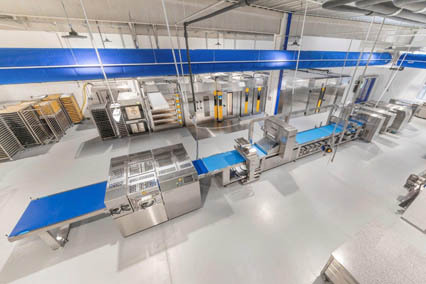 10 Apr 2019 --- Lesaffre has officially opened its first Baking Center that is 100 percent dedicated to industrial customers, where tests can be run at full scale. Located in the south of Vienna, Austria, the new center features state-of-the-art technology on a floor area of over 600m² which enables thorough testing of technical products and machinery ranges. 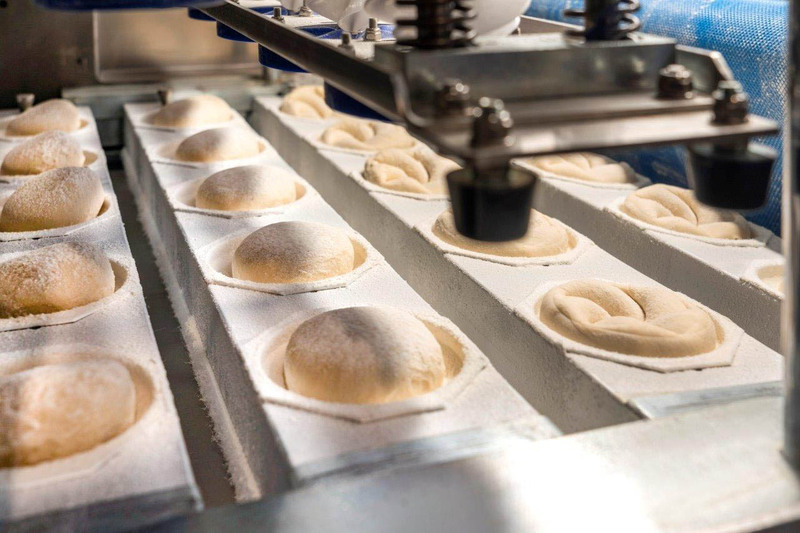 Click to EnlargeAntoine Baule, Lesaffre’s CEOThe choice of machines and the layout make it possible to produce a wide range of products (Kaiser rolls, doughnuts, hamburger buns, sheet dough, co-extruded bakery products, frozen bread, etc.) in an industrial environment. Machinery will be renewed every three to four years to guarantee state-of-the-art technology on a consistent level. “Until now we have been building many Baking Centers across the world and this one is the 44th. So it is a long habit and practice to be able to provide to bakers,” says Baule. “We have identified in the course of this, that coming from a craft scale, which is the size of our baking centers, to an industrial one can be a big inconvenience since bakers have to stop their production line to do trials on the same industrial line,” he explains. The purpose of the new center is therefore to provide a space where the company can work with customers on new products, without disrupting the production line. “It is a full-scale line. Only the oven is non-continuous, but they are large-scale and they mimic the bakery conditions. In terms of mixing, devising and rolling, everything is at an industrial scale,” he adds. With more than 40 centers of technical excellence on five continents, Lesaffre is committed to working alongside those in the baking industry. 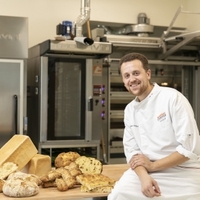 The Baking Center forms part of a co-development approach from baker to baker. Close to the clients, they are mainly dedicated to training, technical assistance and promoting solutions (yeasts, ingredients) adapted for specific local requirements. The size of the investment is not being disclosed as “the figure is not representative of the value,” because the equipment is rented. “This is to minimize the investment and secondly it gives us the possibility to have the latest generation on premixes. If there is a significant modification or improvement, we can benefit from it,” Baule says. “We have invested in the design of the facility, the utilities, the set-up, air conditioning, air treatment, etc. It is a significant undertaking that is mobilizing a lot of energy in the design,” he adds, however. Vienna was selected as a location for several reasons, most notably its location at the heart of Europe. But it also made because of the larger scale structure of the Eastern European bakery industry and Lesaffre’s long presence in Austria. The industrial bakery center is located just 150 meters from a Lesaffre craft bakery center and from the company’s baking ingredients activities. “The industrial bakery segment is bigger in Eastern Europe than in the West in general,” says Baule. “We are benefiting from an existing Austrian installation and premises. We design ingredients formulations here and have a craft bakery and baking center and also manufacture baking ingredients,” he notes. Click to EnlargeThe Center, which came into operation at the beginning of this year, houses an ultra-modern experimental industrial bakery and meeting rooms with a capacity of up to 30 people. For Baule, the center is “one big workshop,” to serve one customer each time. “We have two lines; one is for croissants and the other is more smaller bread e.g., Kaiser loaves of bread or doughnuts. They will use either one line or the other,” he explains. “So far we are not planning to have two bakers there at the same time. It is possible that we do demonstrations where we provide many technicians from many bakeries. But if we do collaborative work it will be one to one,” he concludes. A crucial global player in the field of fermentation, Lesaffre develops, manufactures and markets innovative solutions for baking, food taste & pleasure, healthcare and industrial biotechnology. The company employs 10,500 people based at almost 80 subsidiaries in more than 50 countries, achieving a turnover of more than €2 billion. Baule notes that Lesaffre’s group strategy is to continue to invest and grow within bakery, yeast, sourdough, baking ingredients and premixes. At the same time, the company uses its fermentation and science skills, which have developed as a result of being a significant yeast manufacturer. Click to EnlargeThe site is positioned as “the interface between technology, innovation and inspiration that combines decades of expert knowledge with state-of-the-art technology.”“We are applying our core competencies to other microorganisms like bacteria and fungi. We are going into other applications like nutrition & health, human nutrition, animal nutrition, crop protection and many others. They are all based on providing ingredients from fermentation origin and bringing new natural solutions with health benefits and environmental benefits,” he adds. 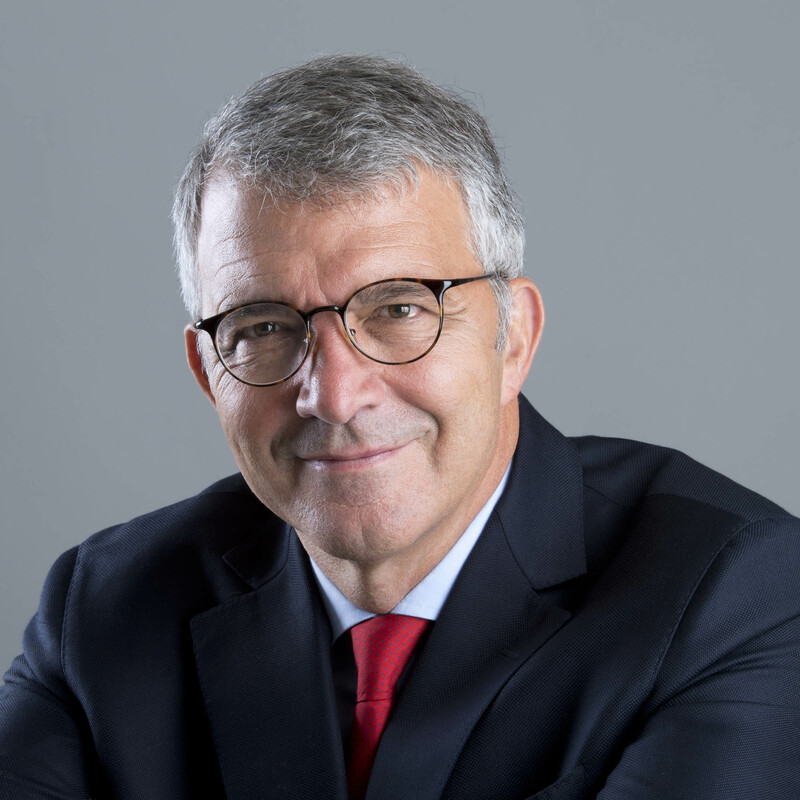 Lesaffre has always had a history of combining external acquisitions with organic growth and this is set to continue, their CEO notes. “In the last 5 years, we have made 17 acquisitions of different sciences, whether in bakery or the new field of application, mainly nutrition & health,” says Baule. Particularly significant within this enhanced focus on nutrition & health applications has been the acquisition of Gnosis in Italy, which was completed at the end of 2018. Baule would not be drawn into commenting on whether more purchases could be expected in 2019. “We are always watching the field and looking for opportunities. If there is an opportunity, it is a matter of seeing how it evolves. In the coming years, Lesaffre will continue the combination of organic and external growth; however,” he noted. With the UK’s exit date from the EU (April 12) just days away, Baule says that the company has prepared itself as best as possible, without confirming just how great their exposure is. “We have sales to the UK from local manufacturing and we have yeast exported from Belgium. We are preparing ourselves as best as we can to minimize the consequences of a potential ‘hard Brexit,’ which we wouldn’t like,” he notes. Through having worldwide operations and 66 production sites around the world the risk of these types of geopolitical events can be mitigated, he notes. But the company is not giving up on the UK either. “We have a baking ingredients manufacturing site there and we are very dedicated to our British customers and we are going to do everything needed to maintain the link,” he adds. In 2018, by completing the full acquisition of Gnosis, Lesaffre combined Gnosis and Lesaffre Human Care into a single business unit: Gnosis by Lesaffre. Innovative global player in yeast, bacteria and pure molecule from fermentation, Gnosis by Lesaffre provides scientifically-proven and sustainably-sourced active ingredients and solutions to customers in the pharmaceutical, nutritional and functional food industries for a wide range of health benefits. Gnosis by Lesaffre becomes one of the few health promoter company able to really boast a valued and transversal in the human health business landscape. Mythocondro® is the first Non-Animal Chondroitin Sulfate produced by a patented fermentation-based manufacturing process. Adonat® is the commercially stable form of S-Adenosyl-L-methionine (SAMe) and it has been shown to have mood enhancing, hepatoprotective and pro-joint activities. Quatrefolic® is the glucosamine salt of (6S)-5-methyltetrahydrofolate, structurally analogous to the reduced and active form of folic acid. It provides greater stability, higher water solubility and multiple ingredients formulation flexibility compared to 5-methyltetrahydrofolate calcium salt. Emothion® is S-Acetyl Glutathione, an alternative form of the reduced GSH. Several studies have shown that this precursor of GSH is well-absorbed and more stable throughout the digestive tract than the L-glutathione reduced. Biootic® is a probiotic yeast (Saccharomyces boulardii) acting as a temporary flora to protect intestinal tract and good germs in the intestine.